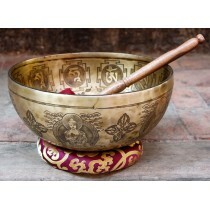 Singing bowls are simply an inverted bells which are played by striking on it having different sizes from centimeters to diameters. 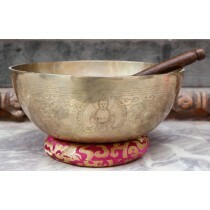 This bowl is simple and small yet it beautfiul. 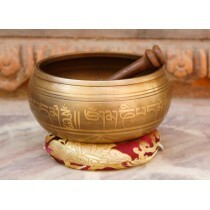 It has the word Om Mane Pad Me Hun surrounded around it and has the buddhas eyes carved inside it. 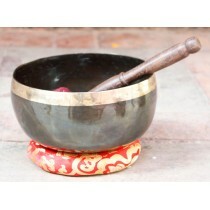 It has the diameter of 4 inch of width and 2 inch of height having the weight of 495 grams. 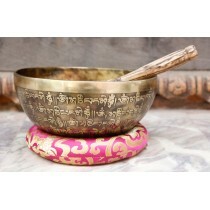 This bowl would be great for a gift or for your shrine. 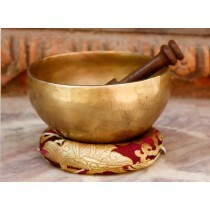 A standing bell or resting bell is an inverted bell, supported from below with the rim uppermost. 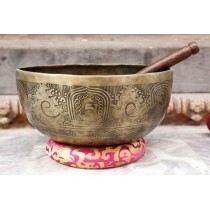 Such bells are normally bowl shaped, and exist in a wide range if sizes from few centimeters to a metre in diameter often played by striking but some known as singing bowl. 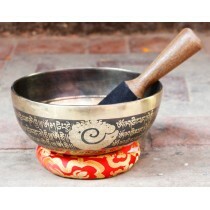 Singing bowls are used Buddhist religious practices to accompany periods of meditation and chanting. 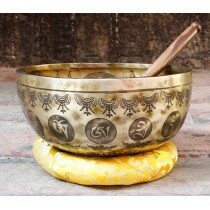 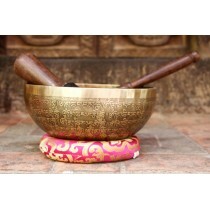 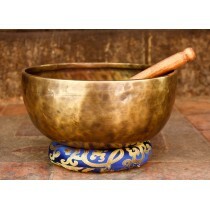 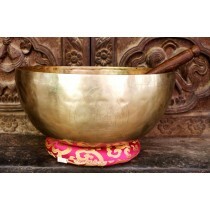 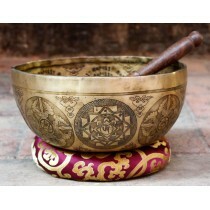 Singing bowls are widely made for meditation, music making and relaxation, as well for personal spirituality. 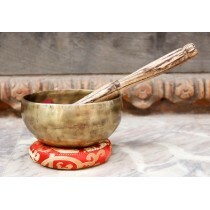 They have become popular with music therapist, sound healers and yoga practitioners. 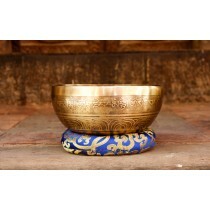 This Relaxing Tibetan Buddhist singing bowl is crafted beautifully in Nepal. 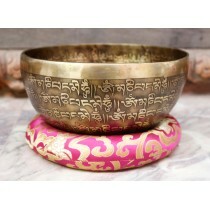 The surface carved with the Tibetan holy words "Om Mane Pad Me Hun" makes it look more attractive as the use of bowls are for meditation and for prayers and decoration as well. 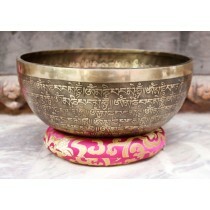 This bowl would great for gift or for your shrines and to decorate ur homes or offices as well.